There comes a time in every person’s life when they need to simply take the plunge and see what new technology is out there. 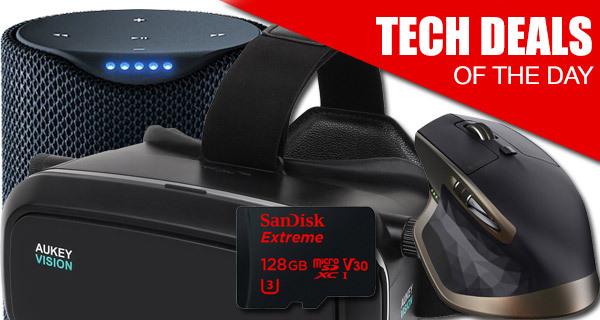 Whether your interests lie with connected hardware for the home, or PC-based gaming, we have you covered with today’s tech deals. We even have something that will appeal to those looking to experience virtual reality for the first time. Check out the deals for yourself, but remember to act fast before they go. On offer today is the brilliant Alexa-powered Bluetooth speaker, the Amazon Tap. With its 360-degree audio throw and ability to tap into a variety of home automation devices, this is a must for any home automation buff. 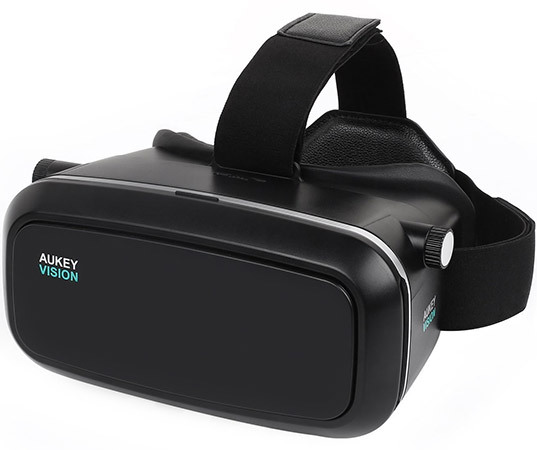 Virtual Reality has become really affordable thanks to the progress of mobile technology and the relatively low cost VR headsets, such as this one from AUKEY which is compatible with both iPhone and Android devices. If you’re into PC gaming or professional editing, you will absolutely fall in love with the Logitech MX Master wireless mouse which is available for under $70. Last but not the least is a high-speed 128GB microSD card, perfect for today’s modern smartphones, especially if you take a lot of photos and videos at very high resolutions. It goes without saying that all the deals listed here are time sensitive and will expire soon, or till stock lasts. So if there’s an item in there that has you tempted, you best grab that deal fast before it expires. So what are you waiting for? Enjoy the savings! Connected devices that turn a home into a “smart” home are becoming all the rage recently. 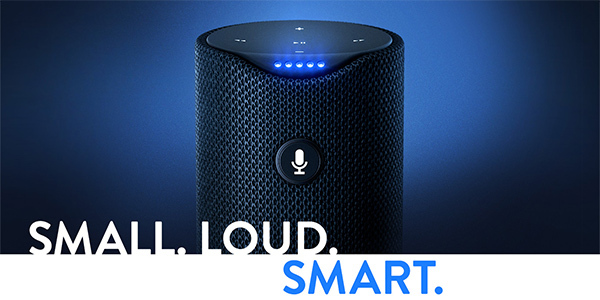 This Amazon branded piece of hardware isn’t a full-blown Echo, but it is still a gorgeous portable Bluetooth speaker with built-in intelligence and access to Alexa, Amazon’s own voice-enabled assistant. Owners of the Tap can instantly play music through services like Spotify, Pandora and iHeartRadio, as well as access other services through voice commands, such as ordering a pizza, getting the latest weather reports, and a ton of other stuff. It doesn’t take a genius to realize that augmented and virtual reality are going to be the next big “boom” technologies. Companies like Facebook, Microsoft, Sony and HTC are pumping millions of dollars into research and development on products like the Vive and Oculus Rift. Some consumers are unable to part with the money necessary to own those products, which is where the low-cost viewers and headsets like this AUKEY option comes in. Simply slide in a compatible smartphone (iPhone or Android 3.5-to-6-inches), load up some VR content, and you’re good to go. Make sure you use the following promo code at checkout to grab the headset for just $22.99: AUKEYVR5. If you’re after a new wireless mouse, and want something that looks futuristic and elegant, then the Logitech MX could be the product that you’ve been seeking. There’s integrated Bluetooth technology for connection to multiple machines, as well as efficient switching between those devices with a single touch of a button. Logitech is also offering up to 40 days of power on a single charge, which should be plenty enough for those marathon gaming sessions. 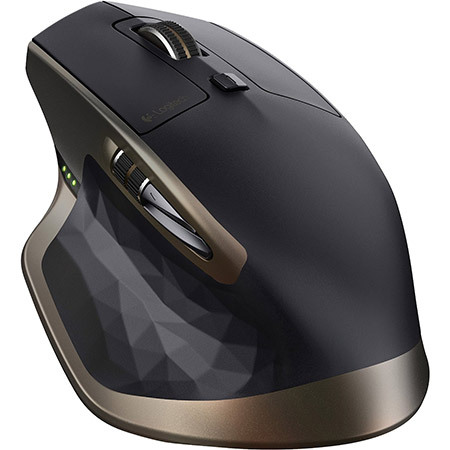 For limited time, it’s available for $69.99 down from its original price of $99.99 from Logitech. If you’ve been looking for a memory card that has been built with the latest Android based smartphones and tablets in mind, as well as high-performance cameras, then SanDisk has the offering for you. 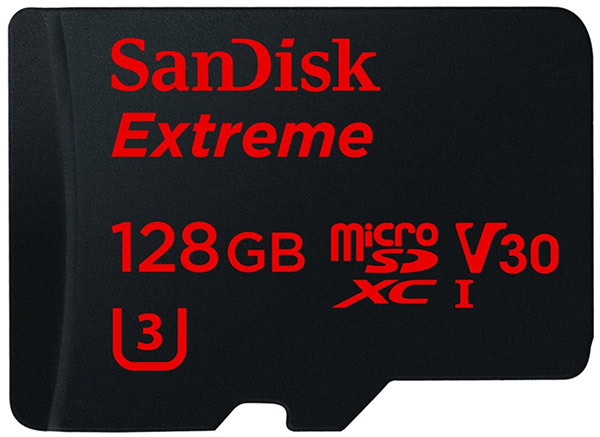 At 128GB, this Extreme microSD card is temperature-proof, waterproof, shockproof, and even xray-proof.